Dublin | Hi, I'm Coeliac too! A place where I can rant about stupid questions I'm constantly asked and where I can also review tasty food products and coeliac friendly restaurants! One of my favorite places to eat in Dublin is Boojum! 😀 I could eat it all day everyday! For those of you who don’t know Boojum is a cheap and cheerful Mexican Burrito Bar. 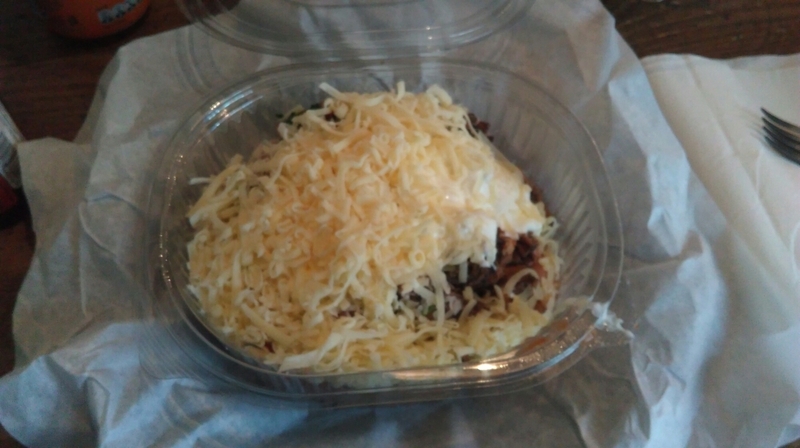 Obviously Coeliacs can’t eat Burritos but we can eat Burrito bowls 🙂 On their menu it clearly states what is gluten-free which is always a lifesaver when I am looking for food. On their website menu it is not marked what is Gluten free but when you go into Boojum the menu boards clearly state what is. Because everything is prepared in front of you it is easy to see if any cross-contamination may happen! I have been there plenty of times and have never had any problems with their food!